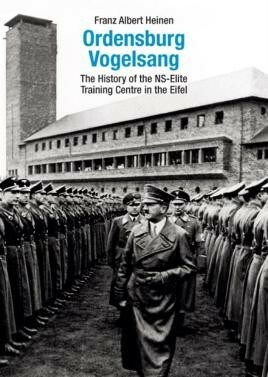 Ordensburg Vogelsang was intended to serve the formation of the NSDAP's future leaders. At the same time similar facilities were built at Sonthofen (Allgäu) and Krössinsee (Pomerania), and made use of the same training methods. Relevant training took place between 1936 and 1939. Unfortunately, due to sales rights restrictions, we cannot offer The Ordensburg Vogelsang for sale in your country. Ordensburg Vogelsang was intended to serve the formation of the NSDAP's future leaders. At the same time similar facilities were built at Sonthofen (Allgäu) and Krössinsee (Pomerania), and made use of the same training methods. Relevant training took place between 1936 and 1939. A barred military area for decades after the end of the NS-dictatorship, the facilities at Vogelsang have been open to the public since 2006. Franz Albert Heinen, who has received the Horst Konejung Award for his work on the NS-Order Castles, presents a concise account of the different utilisation phases of the castle in the Eifel. He depicts everyday life of the NS-cadre education and tells of the Order Squires' ruthless activities in the Soviet Union during the Second World War. Numerous historical and largely unpublished photographs complement the portrayal.